The pet shop that's all sorts of ethical! 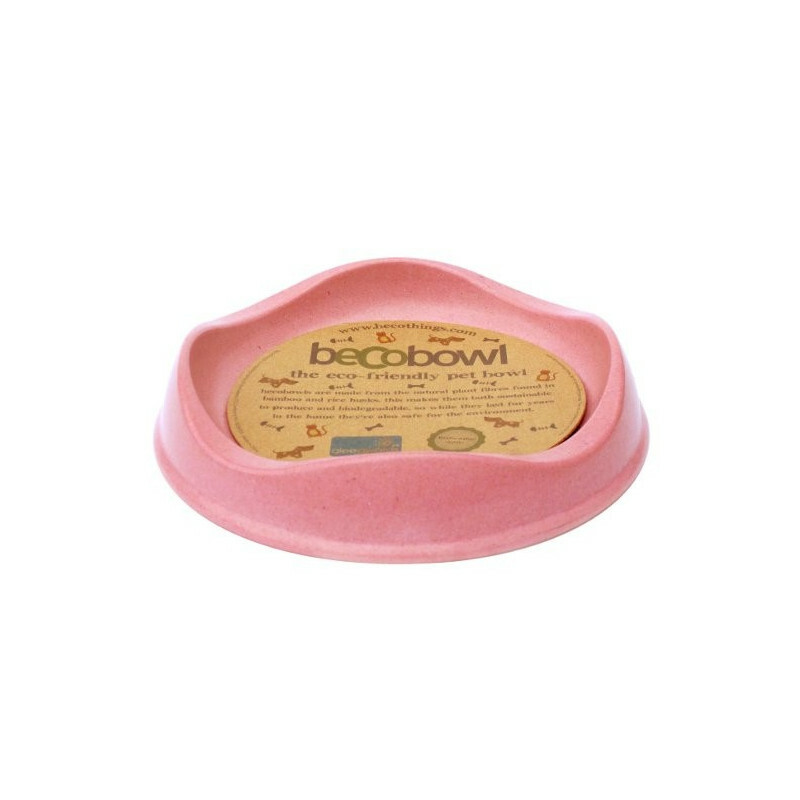 Beco cat bowls are made from a unique plant fibre material. 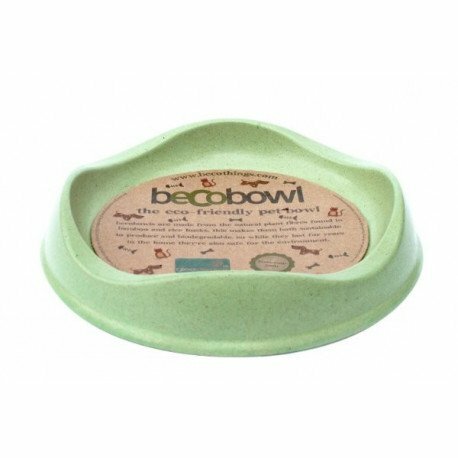 It is this material that makes our eco-friendly pet bowls that little bit special. Made from waste plant fibres they are completely sustainable and fully biodegradable when finished with. 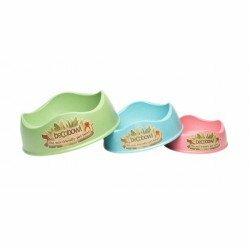 Ideal for Cats, Kittens, Puppies, Rabbits & Guinea Pigs. Available in Green, Blue, Pink & Natural. Ethical Advantages: Biodegradable - Sustainable - Made Using Waste Plant Material - Company has Detailed and Productive Eco Policy - Vegan and Vegetarian - Ethically Manufactured. Ethical Disadvantages: Made in China (by necessity). Eco-friendly and functional, Becothings are tough and durable. 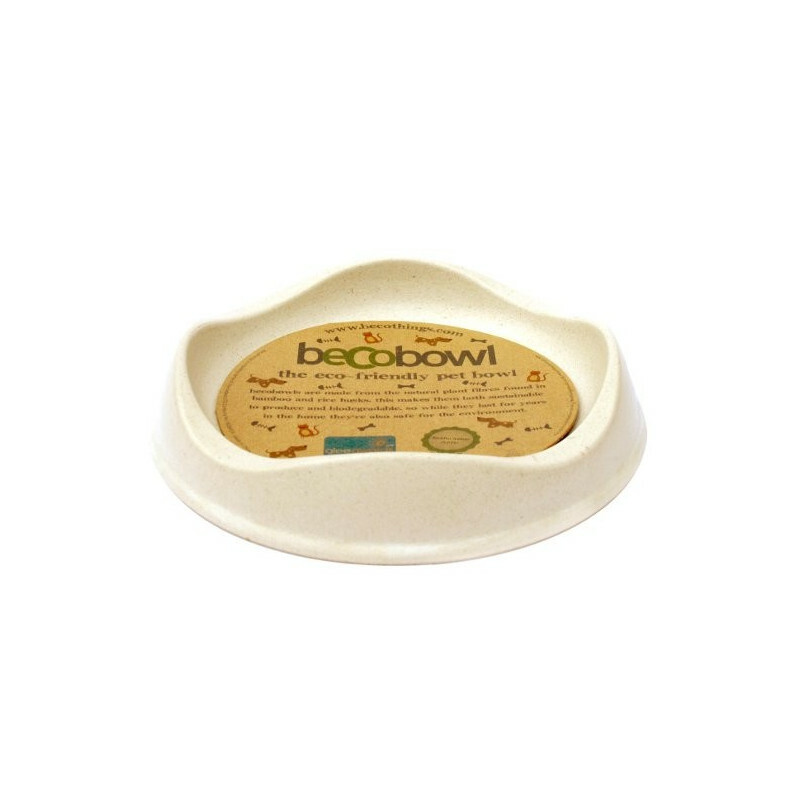 The Becobowl is dishwasher safe and will last for years in the home - when you are done, simply drill a few holes in the bottom and bury it in a flowerbed! Because Becothings are made from waste waste rice husks and sustainably grown bamboo, land is not being taken away from food production to make them (phew!). They are made from 80% plant material and the rest is amino-acid resin - they will break down in a few years once they are underground. Becothings run the Becofactory themselves, which is located in China, close to the source of the materials - they have a founding member of the company living over there too! 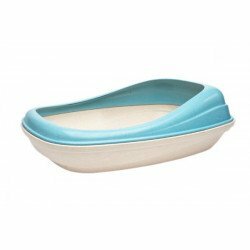 A beautiful pet food and drink bowl made from mostly waste plant fibre material - the most ethical form of biodegradable plastic replacement! 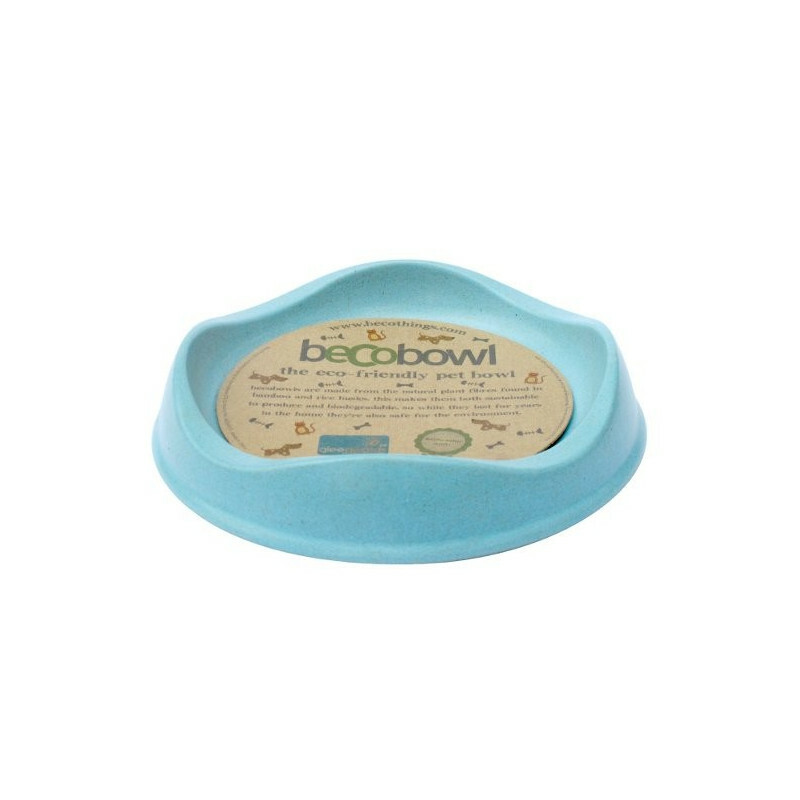 Becobowls are available in 5 sizes (from 26cm diameter to 8.5cm) meaning there’s a Beco Bowl for every pet!.They come in four different colours. Colours are darker and more intense than they appear in the photos. A handy food scoop made from mostly waste plant fibre material - the most ethical form of biodegradable plastic replacement! The scoops come in four different colours. Colours are darker and more intense than they appear in the photos. Combine your BecoScoop with a BecoBowl and spoil your pet without spoiling the environment. 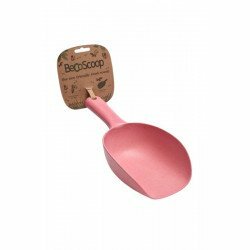 BecoScoops are made from the natural plant fibres found in bamboo and rice husks. This makes them both sustainable to produce and biodegradable when finished with. 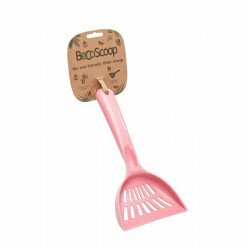 The litter scoops come in three different colours to match your Beco Litter Trays: Blue, Natural and Pink - colours are darker and more intense than they appear in the photos. A nutritionally complete vegan dry food for adult cats. 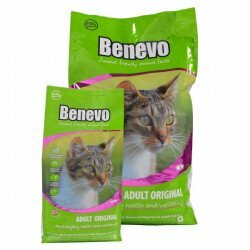 Rich tasting and flavoured naturally, Benevo cat food contains 28% protein and a vegan source of Taurine. Includes a Prebiotic FOS to enhance digestion.